We use top-range, smooth coffee for this blend and roast it medium dark to bring out the full flavor. The caffeine is removed with the utmost care so that the delicate taste and full aroma of the choice Arabica bean blend is preserved. Decaffeinated according to European safety standards. Contains less than 0.08% caffeine . 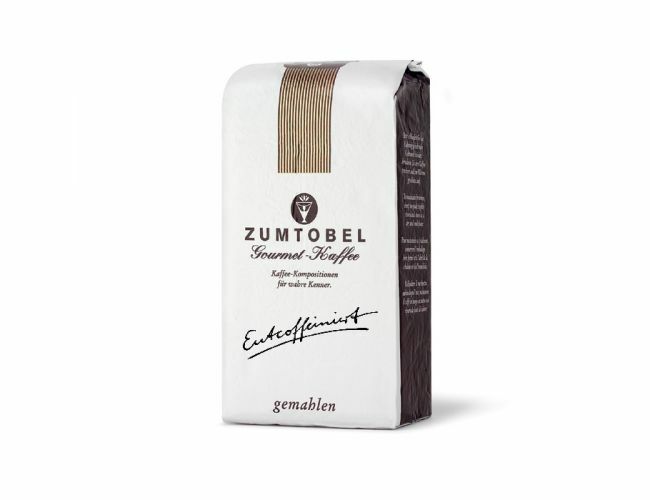 Zumtobel Decaf is the best decaf coffee I've ever had! Not only is it full-bodied with the taste of regular coffee, it is low in acid, so I can drink several cups at time. No buzz, and no acid - the answer to the wishes of every coffee lover who needs/ wants coffee without caffeine. Thank you, Julius Meinl!